SVSU elementary education students are trained to be enthusiastic, passionate and supportive of all learners under their guidance. Our low student-to-faculty ratio and special emphasis on equipping educators with extra field placement hours prepare our graduates with unique qualifications for entering a highly competitive job market. Cardinals find placement opportunities throughout Michigan, the nation and even abroad. When you pursue an education degree at SVSU, you transform children into the doers and thinkers of tomorrow — teaching them to believe in themselves and in their dreams. Mallory knew she wanted to be a teacher since the third grade in Bay City Public Schools. She dual majored in elementary education and early childhood education at SVSU. Excellent educators, great networks and hands-on experiences lead to real world opportunities. She accepted a teaching position prior to graduation at the same school system she graduated. 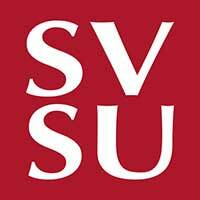 At SVSU, all elementary education majors can pursue their degree in one of two ways: 1) earn a double major in education and a specific content area (integrated science, language arts, mathematics or social studies); or 2) double major in education and a comprehensive content area, with a specialty in early childhood education, English as a second language, special education, French or Spanish. The options for a Cardinal are nearly limitless, and your professors support and encourage you to pursue the field that equips you to teach children content that stir your passions. SVSU helps ensure you’re ready to enter the field as an educator by advising you when to get certified to teach in the state of Michigan. For elementary education majors, it’s best to take your certification exam during a semester of student teaching, after successful completion of your advanced methods courses. Individuals certified in elementary education can enhance their credentials earning endorsements. SVSU offers course preparation for over several subject areas. Our coursework and dedicated faculty equip you to teach in the subject you are passionate about and successfully pass the Michigan Test for Teacher Certification (MTTC). Choose from three graduate degree programs: Master of Arts in Teaching, Master of Arts in Instructional Technology & E-Learning and Master of Education (principalship); a variety of endorsement programs to enhance your credentials; or move into administration with our Education Specialist program. Education graduates at SVSU can go onto serve in local classrooms, serve special needs populations, effect change through policy, teach English abroad and govern education at the local, regional or national level. When you graduate from SVSU, the role you play in shaping the next generation is up to you. We’ll set you on the track you need to get there. Karen D. Herbert-Abbott, an elementary principal at Rutherford Winans Academy in Detroit, believes in the uniqueness of every student. She's inspired hundreds of students teaching every grade K-8th grade before moving into administration. Now her ability to impact their dreams is even greater.